In this episode of Educational Podcasting Today, Jeff sits down with podcaster Dan Kreiness about how you can automate your podcast process. Learn what apps you should and shouldn't be using to save some time once you hit the record button. If you are a new listener to TeacherCast, we would love to hear from you. Please visit our Contact Page and let us know how we can help you today! The “message” – how will it be recieved? Consistency through logo/graphics, sharing content, social Media presence, PLN, conferences, etc. 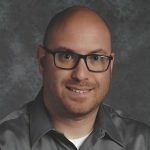 Dan Kreiness is a middle school administrator, instructional leader, podcast host, and doctoral candidate who constantly searches for the most effective ways to advance education and produce high student achievement. Dan began his teaching career by spending nearly eight years in the New York City Department of Education as an eighth grade English language arts teacher, academic intervention specialist, and middle-level literacy coach, then spent nearly five years at Derby Middle School in Derby, Connecticut as a reading teacher and instructional coach. Dan holds masters degrees in adolescent education and educational leadership and is currently a doctoral student in the field of educational leadership. He was named to the 2017 class of ASCD Emerging Leaders. He is also a Google Certified Educator, Nearpod Pioneer, Flipgrid Ambassador and Hoonuit Learning Ambassador. 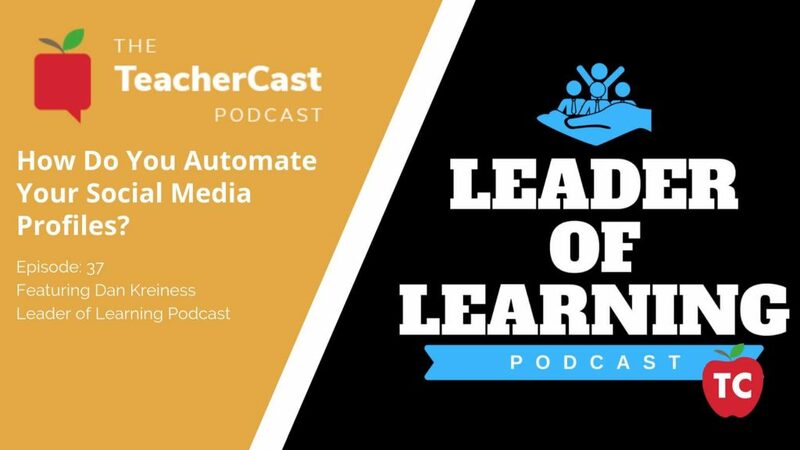 Dan hosts his own Leader of Learning podcast that can be found on music streaming services such as iTunes, Google Play, iHeartRadio, Stitcher, and TuneIn, or on any podcast catcher. Dan has been a recurring host and panelist on the EduMatch Tweet and Talk podcast series. He is also an author who features his writing on his own “Leader of Learning” blog and has contributed guest blogs to The EduCal Blog, Your Instructional Coach, and TeachBoost. In addition to blogging, he also has published works as a contributor to the Edumatch Snapshot in Education (2017) Volume 2: Professional Practice and The EduMatch Teacher’s Recipe Guide: Survive and Thrive in the Kitchen and Beyond. Dan is emerging as an expert presenter at education conferences, trainings, and EdCamps on topics including leadership, growth mindset, student engagement, various instructional technologies, augmented and virtual reality for education, and using social media in education. His specific educational interests include leadership, educational technology, and student engagement. Leader of Learning is a website, a podcast, and a blog that explores transformational leadership in education. It is where educators can come to find inspiration to transform education through effective leadership. It is a community where educators can realize their leadership potential regardless of their position or title. What originally launched as just a blog and was improved with a podcast has now evolved into an educational movement and community of educational leaders who are poised to lead necessary changes in the field of education in the United States and beyond. Join our brand new Facebook Page!